Stay connected with your board and keep it always up to date. Over the air updates with our 4.0 Bluetooth technology to always have the latest version of the software. Be always aware of the status of charge of Linky. 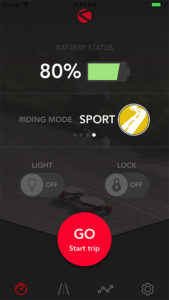 Never without battery with the real time riding range. Discover and save all the information about your latest trip. 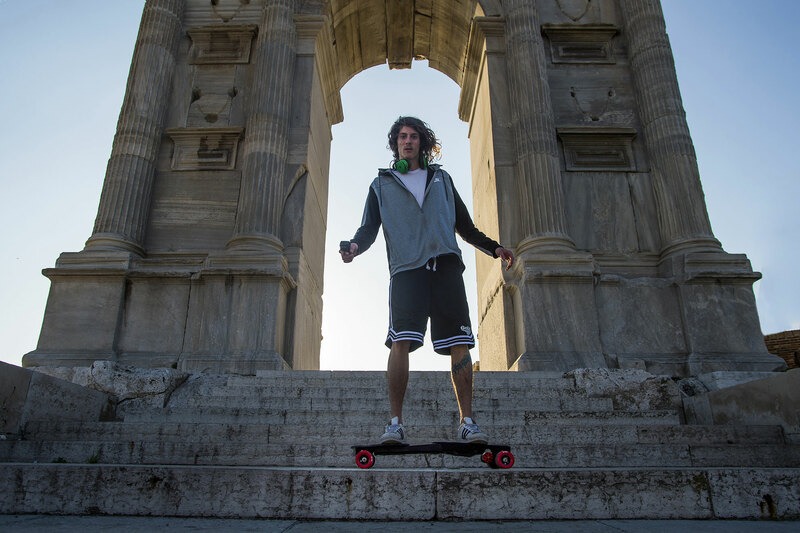 Select the riding mode, lock your skate or switch on and off your front LED light. your Linky at a glance! Be always aware of the status of your Linky before starting the ride. Check the battery level, select the riding mode, switch on the LED light, unlock and GO! The Linky APP is an extension of your remote. 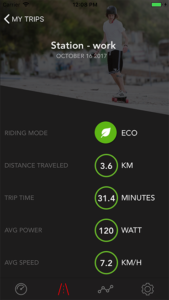 After starting your ride you can easily keep track of every information you need. 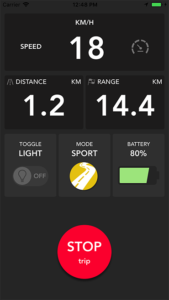 Never run out of battery with the real time range. 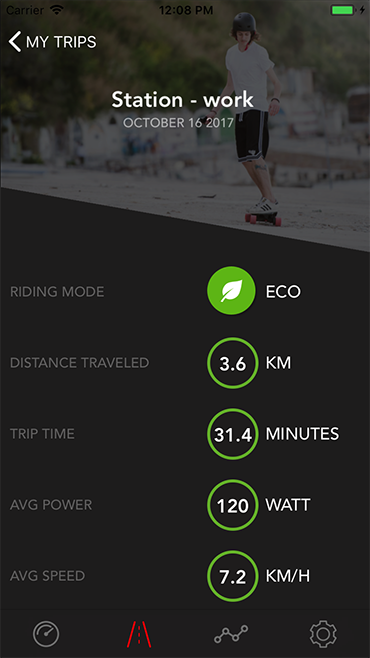 Every ride is unique with Linky. Check if this time you’ve been more eco-friendly or faster than the latest trip. Have fun with your friends to compare all the stats. Get notified when a new firmware is available. Update the performance and efficiency of your Linky with timely updates. switch on the LED light, unlock and GO! The Linky APP is an extension of your remote. been more eco-friendly or faster than the latest trip. Have fun with your friends to compare all the stats. Get notified when a new firmware is available. your Linky with timely updates.